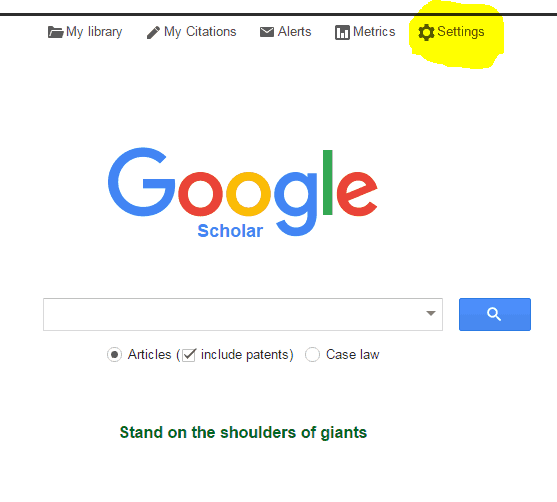 Using Google Scholar off campus requires changing some settings in order to view full-text articles. 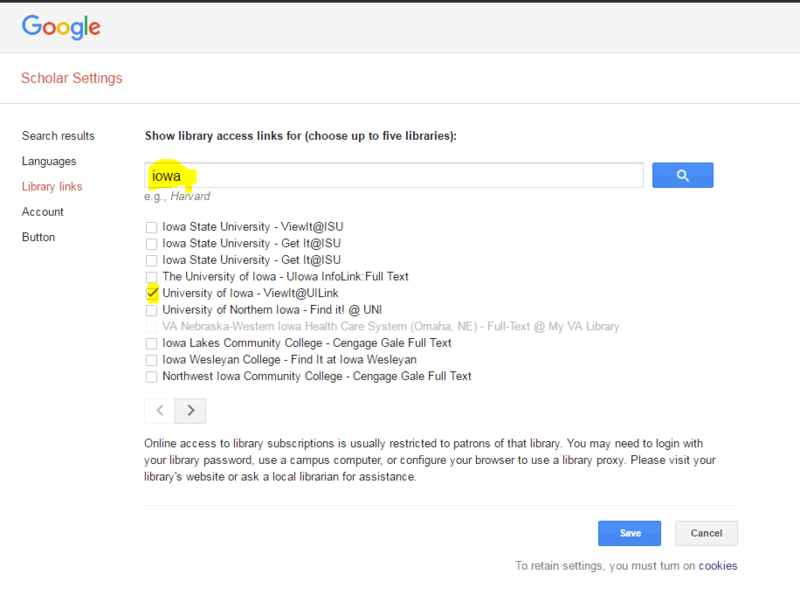 Access Google Scholar from Hardin’s A-Z database list or directly at http://purl.lib.uiowa.edu/GoogleSch. 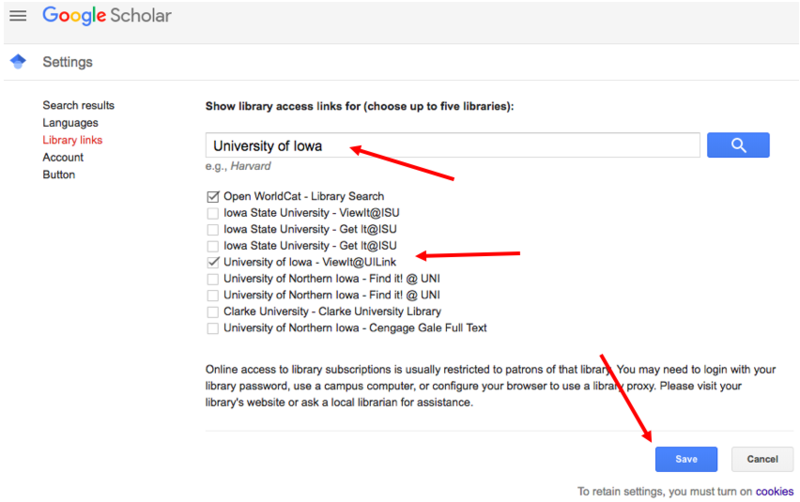 Then look for the ViewIt@UILink link in the results to get to University of Iowa subscribed content. 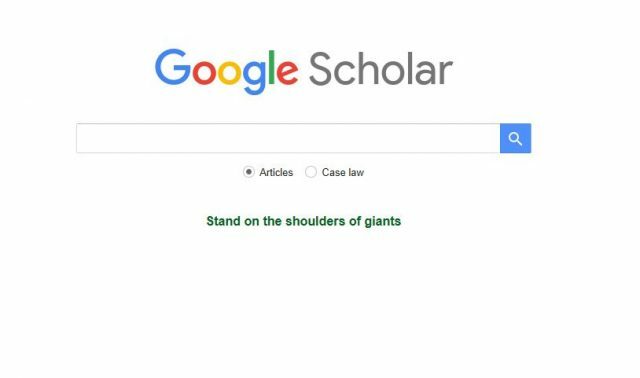 In order to find full-text articles, please change some settings in Google Scholar. 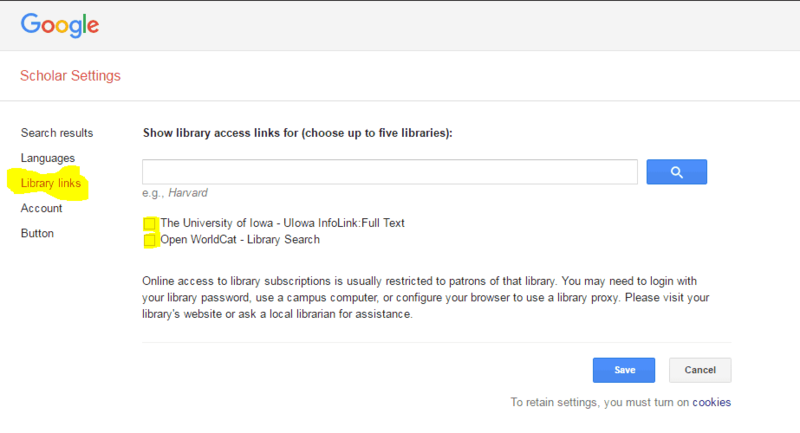 This change is necessary due to the libraries moving to a new electronic management system called UILink. 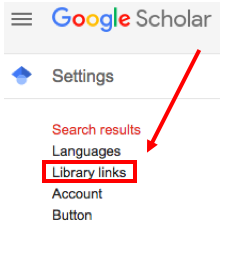 Please use the library link to Google Scholar, so you can be identified as a University of Iowa affiliate. 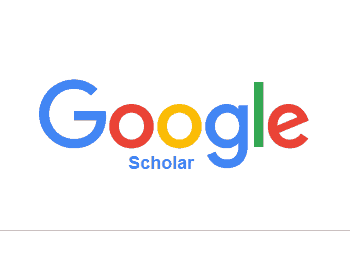 Click on Settings in Google Scholar. 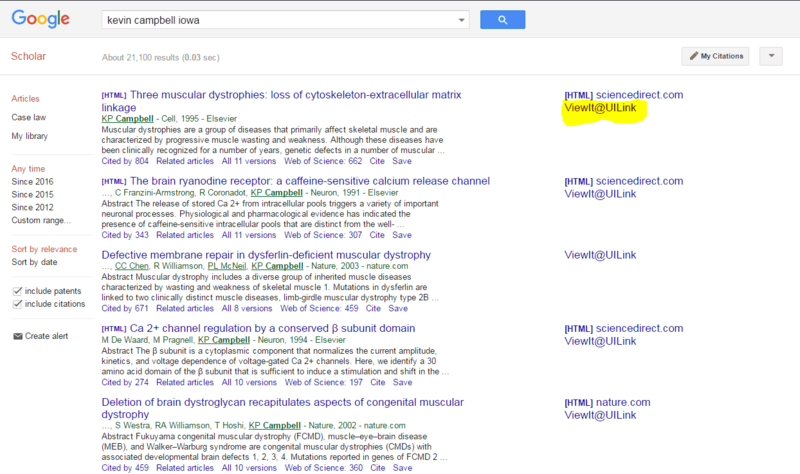 After you complete a search in Google Scholar, you should see a results screen like this. Click on ViewIt@UILink to view full-text article. If you need help, please contact Hardin Library or your campus library.